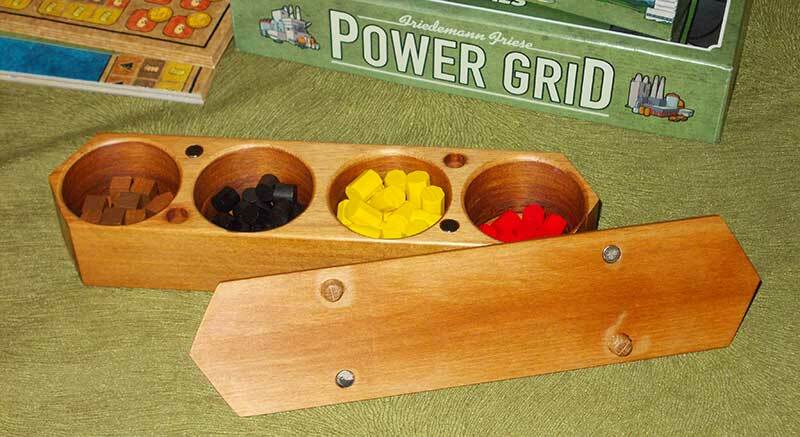 Power Grid is one of my favourite board games. It's been very well balanced, and no two games ever seem to play alike. 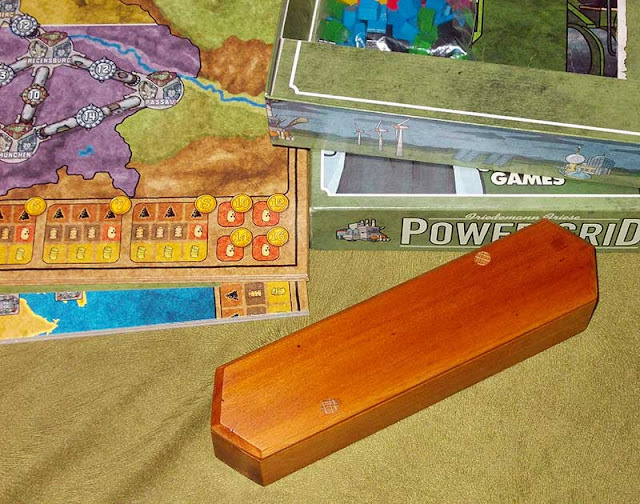 Like many of these European games, it uses a multitude of little wooden tokens. I've been keeping them in zip-lock bags, which have the advantage of convenience, but they're not exactly an aesthetic tour-de-force. Neither is this little box really, but it's nicer than a plastic bag. I made the base-part a while ago out of a scrap of rimu, and completely forgot about it until we got the game out last night — which just goes to show how long it's been since we played Power Grid. It turned out that I'd made the cavities a bit too shallow to accommodate all of the yellow "garbage" tokens without overflowing. I'd originally intended it just for in-game use, to keep all the tokens in one place, and a bit less likely to get lost on the floor. But somebody — Steve, I think — suggested that with the addition of a lid, it could be used to keep them in permanently, which I thought an eminently sound idea. So, today I deepened the cavities and made a magnetic lid for it. The box itself is not perfectly symmetrical, because I never thought it would need to be. However, the addition of the lid means that orientation is actually important. 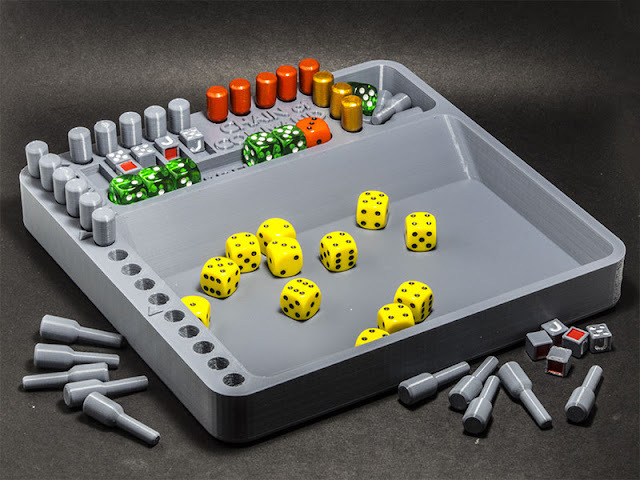 I attended to that by making sure that the polarity of the magnets in each pair were opposite, so the lid will only go on one way.